← Trinidad James on CNN. Stand up for your rights. It’s called a freedom of speech. 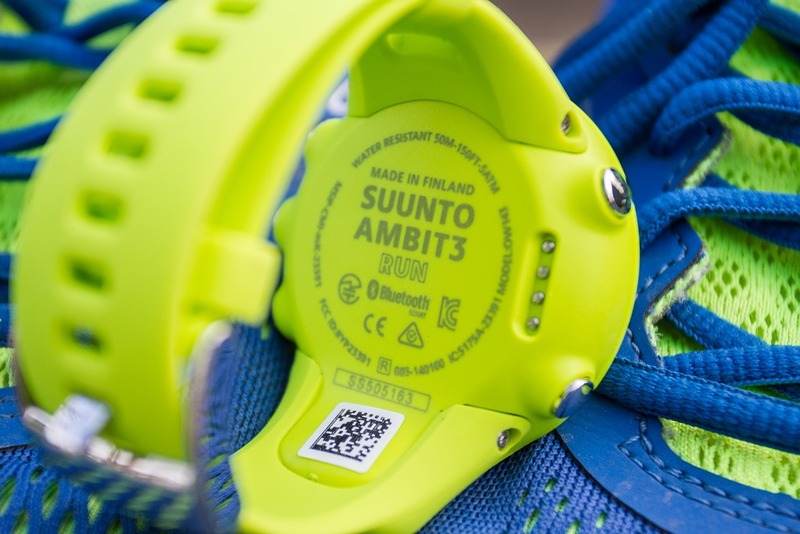 Suunto has announced their latest watch onto the market, the Ambit3 Run. 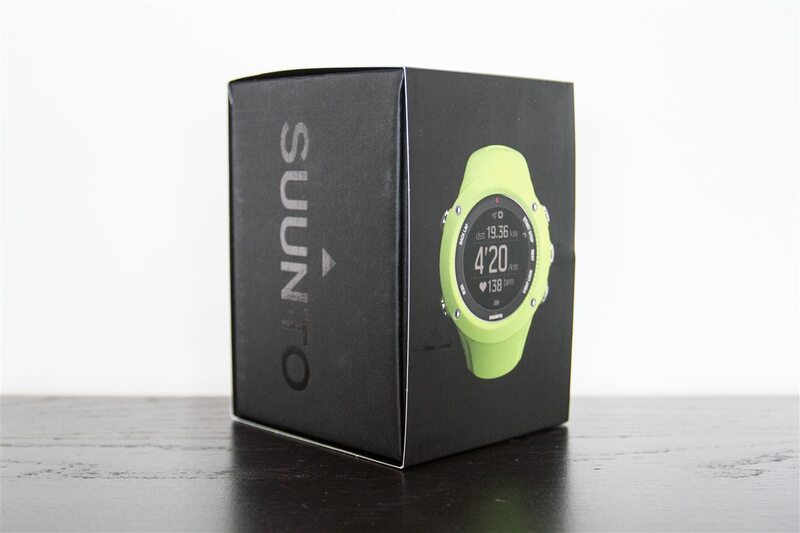 This watch follows in the footsteps of the Ambit2/2S/2R variants whereby Suunto takes an existing watch and then produces a variant of it specifically focused on the running segment (by removing non-running features). In the case of the Ambit3 Run, they’ve pared back much of the multisport focus of the Ambit 3 Peak & Sport, but kept the running areas. Additionally, like last year when they announced the Ambit2 R, they’ve taken the opportunity to announce new functionality that will be ushered in with the Ambit3 Run, but is coming to all Ambit3 units via a free firmware update. I’ll briefly dive into those updates in a later section. 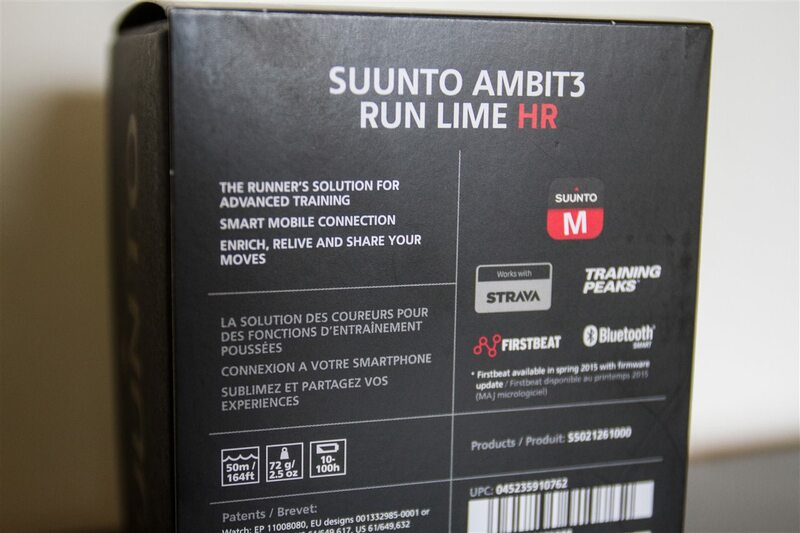 As noted above, the Ambit3 Run takes the existing Ambit3 and simply removes the multisport functionality along with that of swimming and cycling sensors. But fear not, you can still create custom sports though, just as with the other Ambit3 units (as long as it’s not swimming or multisport). 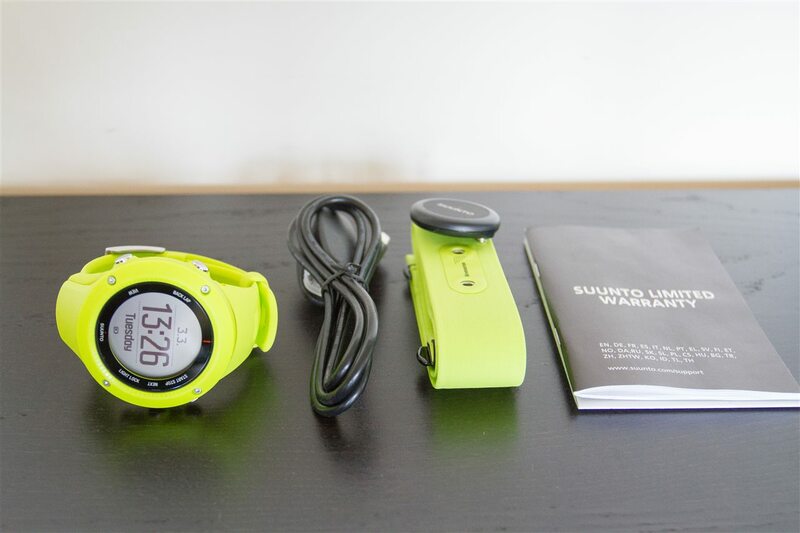 These sports must be created online using Suunto Movescount (website), and then can be transferred to the watch using either USB or Bluetooth Smart (phone). Of course, the primary purpose of the watch as the name implies is indeed running. 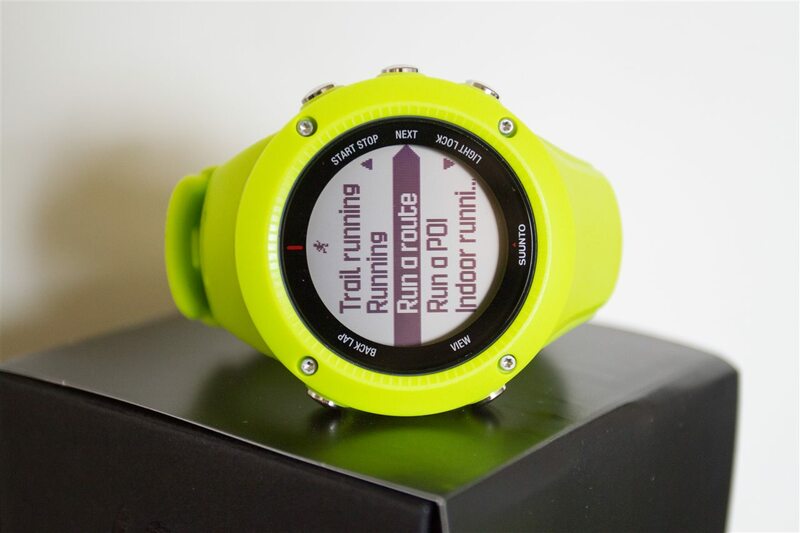 You can create a multitude of running modes such as trail running or hiking with an extended duration option, which allows you to reduce the GPS signal rate so it extends the battery life of the unit. The strength of the Ambit3 Run over some competitors though is that it maintains much of the navigation functionality. This means you can follow a route or route to a point of interest (POI). In addition to the ‘standard’ functions that the Ambit3 already provides, the Ambit3 Run will gain new functionality that I’ll discuss in the following sections. 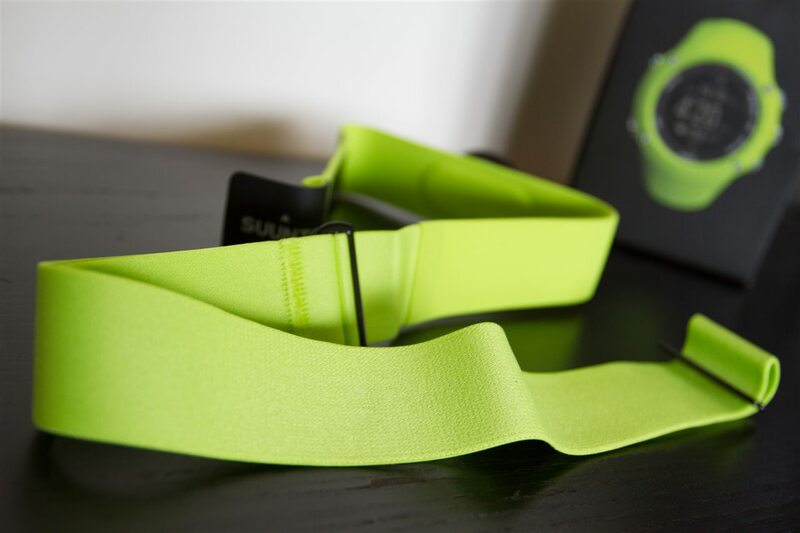 You’ll notice that the unit includes a new color heart rate strap. 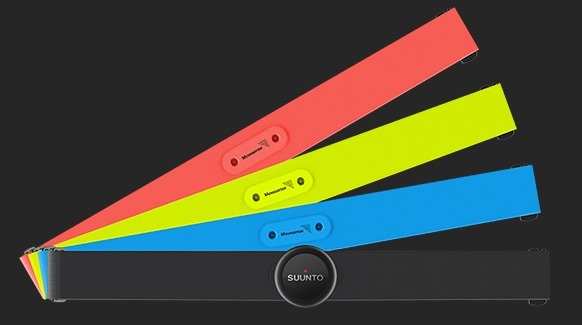 Suunto is following in the footsteps of Polar with a series of brightly colored heart rate straps. These new Smart Sensor straps are functionally the same as previous Bluetooth Smart straps, but just more colorful. 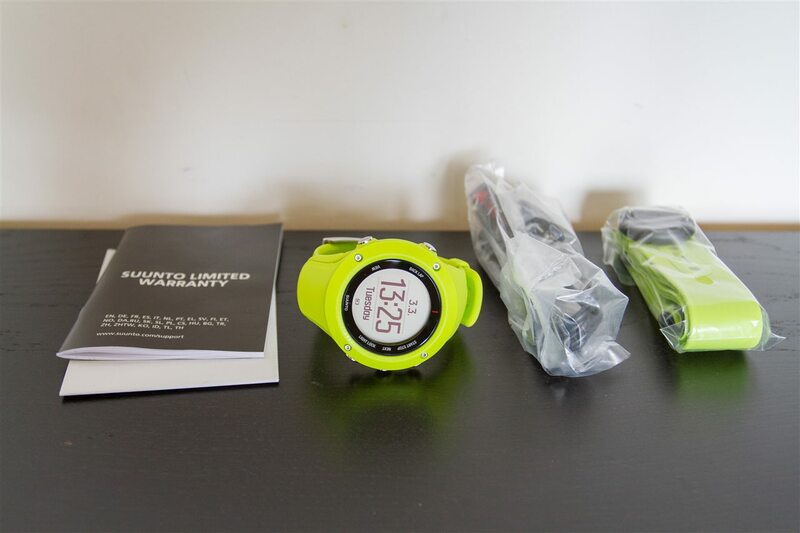 I’ll look to complete some form of review of the Ambit3 Run once the new spring functions are rolled out. 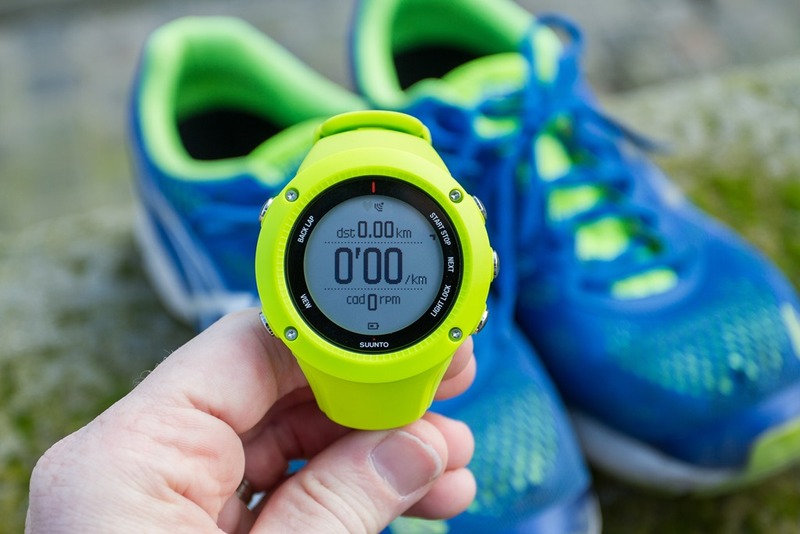 Perhaps one of the biggest feature gaps between the Ambit series (all editions) and competitors such as Polar and Garmin has been the lack of structured workouts (intervals or custom). 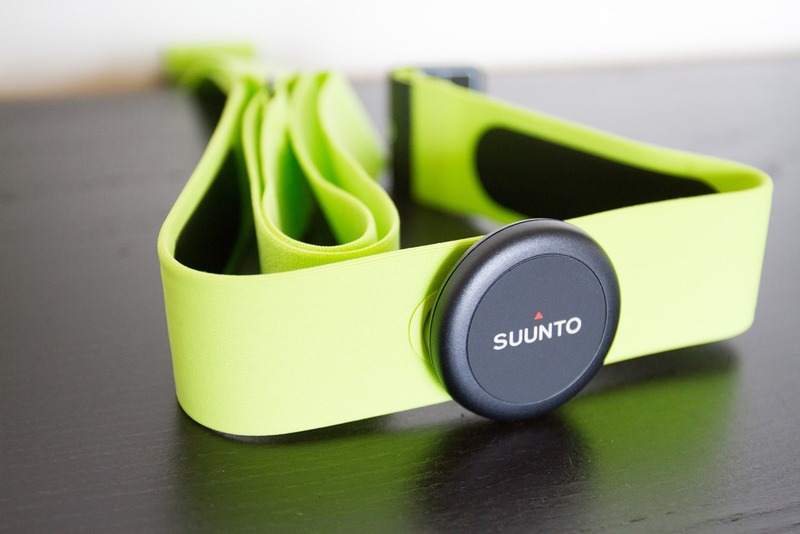 While you could always use some 3rd party apps from the Suunto App Zone, these apps were cumbersome to configure and lacked flexibility and functionality provided natively by other companies. 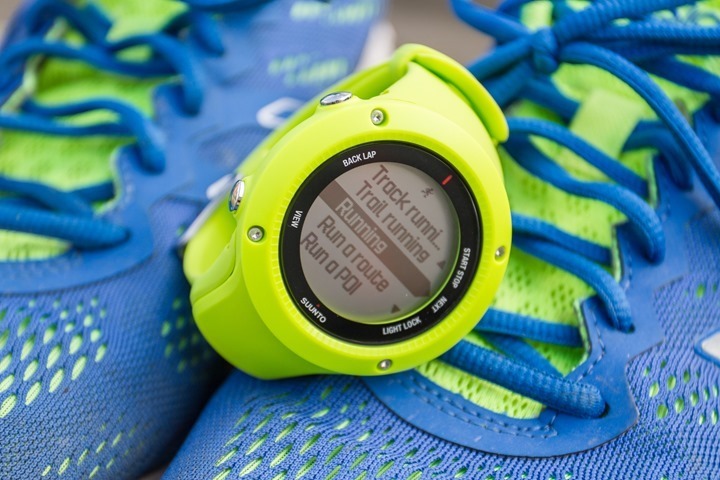 Once on your device the watch will guide you through each of the steps of the workout. In the case of the Ambit3 Run I have here, that functionality isn’t quite enabled yet, so I can’t demonstrate it at this point. 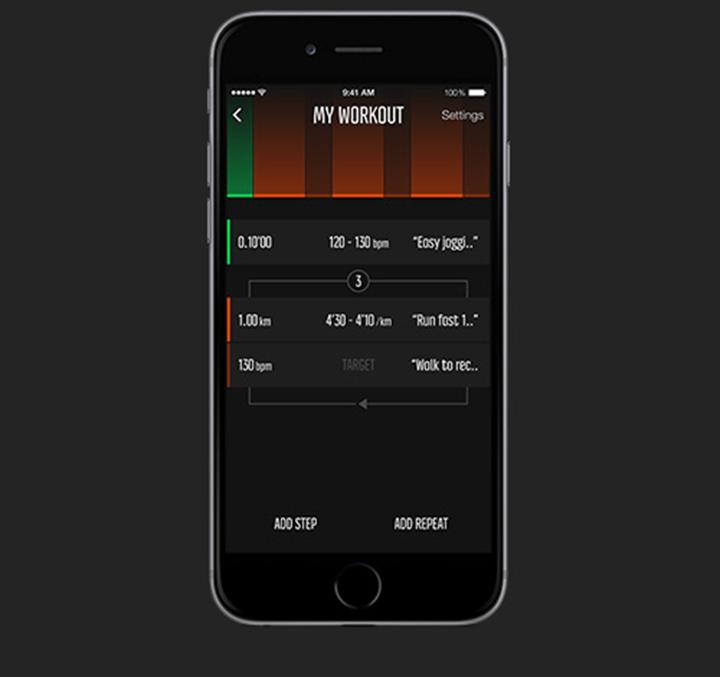 In addition, they’re also adding in a tie-in for the mobile phone app which will give you voice prompts of your workout steps. So this would be relatively similar to a lot of dedicated phone apps that give voice prompts for structured workouts/intervals. This functionality is planned for release within March. 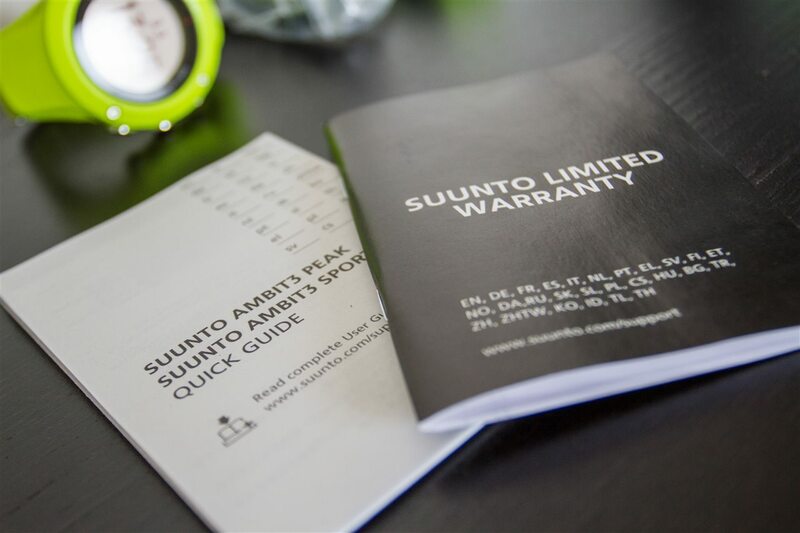 Suunto has brought back a bit of their near-term software update timeline plans, which can be seen here. This is sorta akin to a few years ago when they released their quarterly plans for software updates (though, they did that for the whole year). Battery Life Extended: On this one, they’ll be upping the expected battery life in the three GPS accuracy modes (Best/Good/OK), to higher values, topping out at 200hr for the Peak edition. 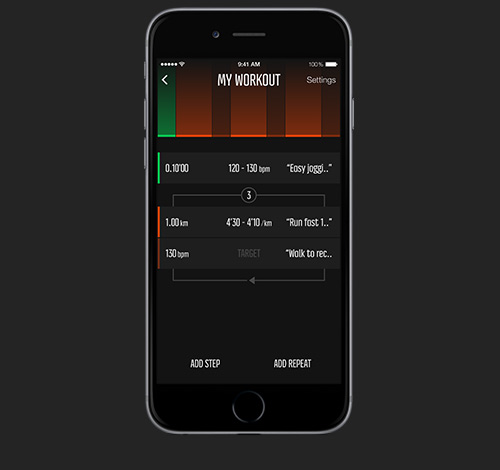 Workout Planner: As noted above, this will enable both on-watch prompts for structured workouts, as well as on-phone voice prompts if using the app. Asian Languages supported: This will add Japanese, Simplified Chinese and Korean. This is primarily notable because for these markets it’s incredibly tough to sell devices without native language support. Upload of Suunto movies to YouTube: Pretty straight forward, will allow you to upload these movies direct to YouTube for more prolific social sharing. Sleep Recovery Test: This test produces sleep quality data and correlates that against your recovery state. Quick Recovery Time: This is essentially a heart rate variability test that’s designed to measure recovery. This sounds fairly similar to what Polar has on some of their units as well. Running Performance: This will show trending of your performances within the Movescount app itself. Additional Languages: This will bring the watch inline with Movescount, and between the two of them they’ll both support the following languages: EN, CS, DA, DE, ES, FI, FR, IT, JA, KO, NL, NO, PL, PT, RU, SV, and ZH. Firstbeat Compatibility: The unit will allow exported files to work with the 3rd party Firstbeat software, which is primarily used to analyze heart rate variability within activity files. Note that these updates will only be available on the Ambit3 family of watches. Android support: This is still on target for ‘April 2015’, which will see the release of the Android app to support the Suunto Ambit3 family and syncing of that data similar to what’s available on the iOS platform. Follow function: The app will soon allow you to follow other’s activities, kinda like Facebook or Strava. The Ambit3 Run is a logical next step for Suunto, ideally to tap into the lower priced markets that the existing Ambit3 Sport and Peak units overshoot with their higher prices and different target audience.The challenge I think though is that being priced at $299US/€249 (without a HR strap), it’s gonna be pretty tricky to compete against other units at that price point. The mid-range watch GPS market has dropped in price significantly over the last year, primarily led by Polar and their M400 (at $179US). 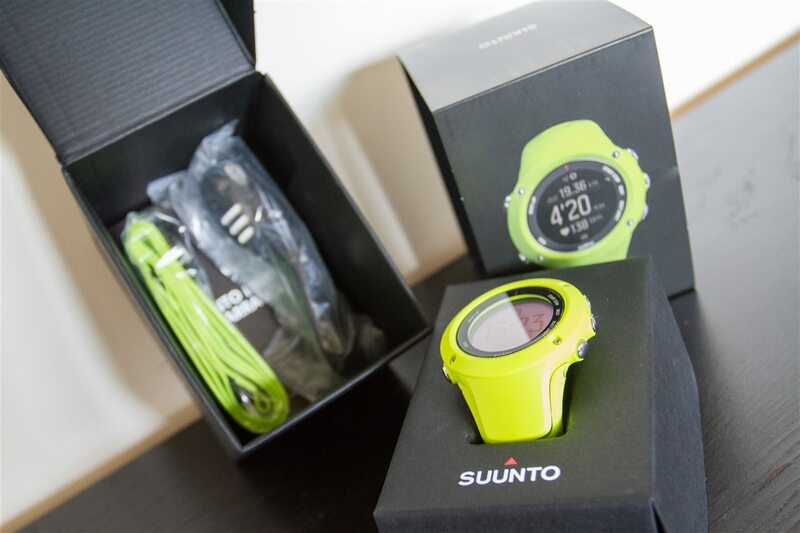 The core advantage of Suunto and the Ambit3 Run over the Polar M400 is the Ambit3’s ability to navigate a route or a POI. But on the flip side, the M400 has better daily activity tracking (steps/distance/etc…) and already has structured workouts within it. And of course, that’s all before we even add in the Garmin Vivoactive, which was announced in January and is expected to start shipping in the next 30-45 days. That watch at $249US does include navigation support as well as vibration features and a host of other functionality not found in the Ambit3 series. 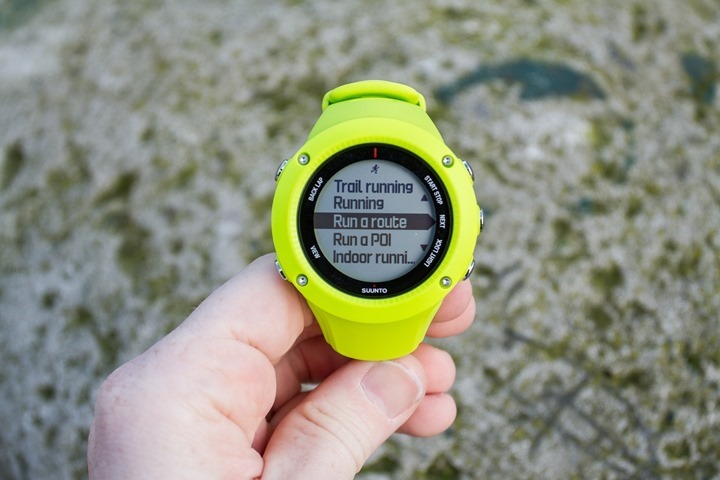 Of course, that watch (assuming it works as expected) won’t just eat into other competitors products, but actually Garmin’s own higher end products such as the Garmin FR620. So while there’s nothing wrong with the Ambit3 Run as it’s likely going to be a solid little watch once the spring updates are out, it’s also a bit tricky given the current pricing plans. I would think it’d be a much more competitive watch at $199US. But…that’s just my two cents.